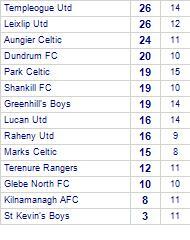 Dundrum FC beaten by Terenure Rangers. 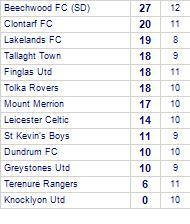 Terenure Rangers lose to Clondalkin Celtic. 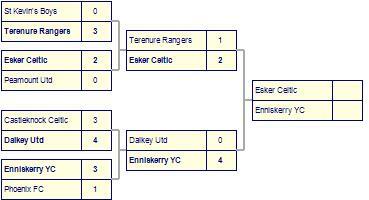 Terenure Rangers has yet to win in this competition, having lost all 4 games. 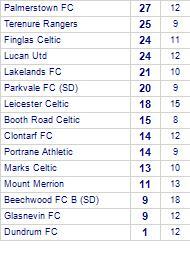 Clondalkin Celtic has yet to be beaten in this competition, having won every game. 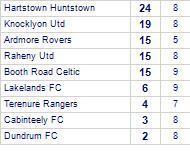 Ardmore Rovers take spoils against Terenure Rangers. 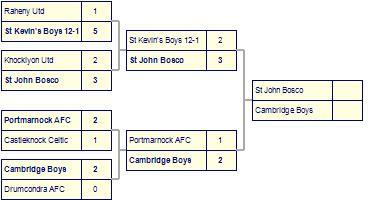 Ardmore Rovers has yet to be beaten in this competition, having won every game. 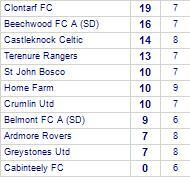 Terenure Rangers take all points from Beechwood FC (SD). 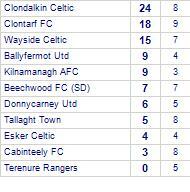 Finglas Celtic suffer defeat to Terenure Rangers. Terenure Rangers suffer defeat to Trinity Donaghmede. 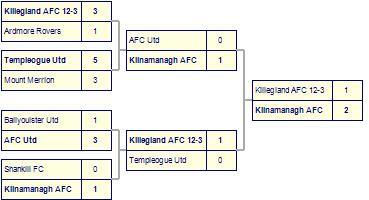 Terenure Rangers has yet to win in this competition, having lost all 2 games. Terenure Rangers claim victory against Ardmore Rovers. 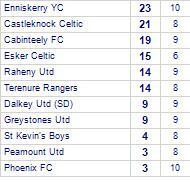 Terenure Rangers draw with Raheny Utd. 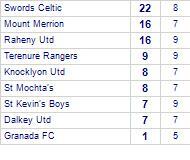 St Mochta's take all points from Terenure Rangers. 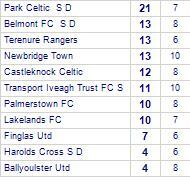 Tallaght Town despatch Terenure Rangers. 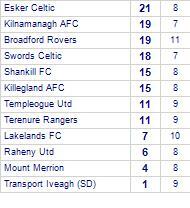 Ballyfermot Utd claim victory against Terenure Rangers. 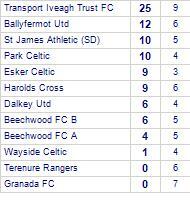 Ballyfermot Utd has yet to be beaten in this competition, having won 3 out of its last 6 games. 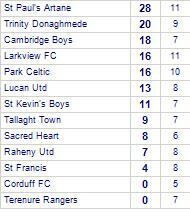 Terenure Rangers has yet to win in this competition, having lost all 5 games. Terenure Rangers suffer defeat to Home Farm.